Everyone who works with CHW is a volunteer. As a teenager, I volunteered at New Life International Children’s Home in Ghana. I wanted to stay involved, as I loved the children and was in awe of what the founder, Maa Ruby, was doing for them. I was also inspired by Gao Ya Li, after visiting the children’s rehabilitation centre she founded in Shanghai. Whilst fundraising for these projects, I thought that establishing a charitable organisation would be more effective. Anna and Emma studied law at Aberystwyth with me, and became founding trustees of CHW, along with my father, Joe. I took a gap year, travelled, and established links with other organisations that we now support. I completed an LLM in Public Law and Human Rights at University College London and have done legal research focusing on children’s rights and welfare, inequality, and minority groups for a number of advocacy organisations in London and Cape Town. The people running the organisations that CHW has linked with are inspirational, and I am glad we can all work together for a brighter future for the children. I met Catherine whilst we were studying Law together at The University of Wales, Aberystwyth. I’m proud to be a trustee of CHW, and I’ve enjoyed fundraising for the charity. I visited Romania twice in 2009; I volunteered at the Sacele hospital and visited Casa Mea, the children’s home. I hope to be able to visit some of CHW’s other projects in future. I qualified as a Solicitor in 2012. I studied Law with Politics at the University of Hull before undertaking a Masters in International Human Rights Law at Birmingham City University. This gave me a strong interest in helping people exercise their human and civil rights. As part of my Masters, I undertook an internship with a law firm which represents clients on death row. Additionally, I have worked with a human rights organisation in Ghana, and this is where I met Catherine. 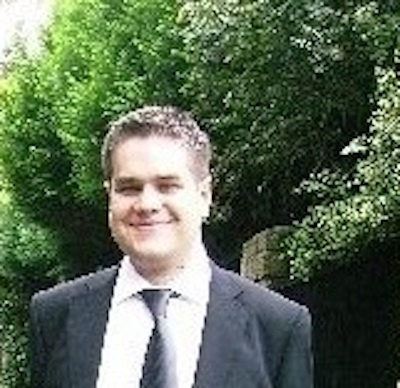 I currently work as a paralegal for the law firm DAC Beachcroft in Leeds. I am keen to visit some of CHW’s projects in the future. I graduated in law from Aberystwyth University where I first met Catherine and Anna. Anna and I identified with what Catherine wanted to achieve and became founding trustees for CHW. I undertook the Diploma in Legal Practice at Swansea University whilst continuing to fundraise for our projects. During a break from my studies I visited CHW’s two projects in Ghana: New Life International Children’s Home and Sankofa Mbofra Fie, where I spent time teaching Science and ICT and caring for the children. I would recommend visiting any of CHW’s projects and believe that once you meet the children, they will change your life for the better forever. I will be returning to Ghana again soon. 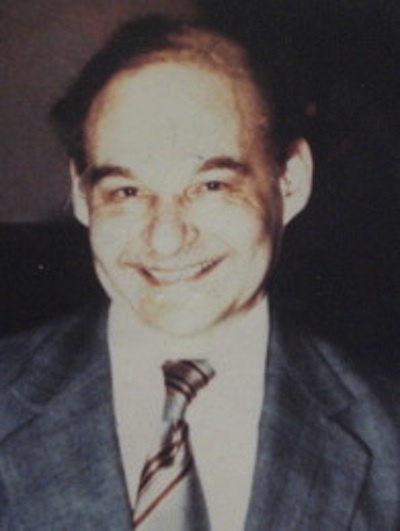 I am a physicist with degrees MSC, PhD and am a Fellow of the Institute of Physics. I have developed a coating, known as diamond-like carbon. This coating may be applied to medical implants in the body, to protect the body from any adverse effects. I have started a company producing this coating. I was very interested and impressed by the initiative shown by my daughter in forming an organisation to aid children and which is working very effectively in achieving its aims. Jana heard about CHW as she was volunteering with the Atelier Sacelean Association, in Romania, when CHW first established a link with them. She has independently collected and sent needed items to the Atelier Sacelean Association, and also helped with CHW’s appeal supporting children’s sports programmes in South Africa. 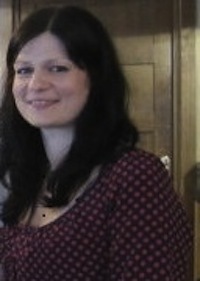 She became the Coordinator of CHW Germany, and held her first fundraiser, a charity concert, in Rostock. 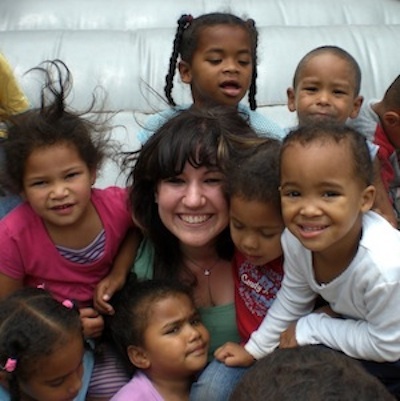 Marie-Lise originally got in touch with CHW so she could sponsor a child at New Life International Orphanage in Ghana. She then became more involved with our appeals, collecting items to send to Florentino Ameghino School in Argentina and clothes for our projects in Romania, as well as helping with a coin collection for children in South Africa. 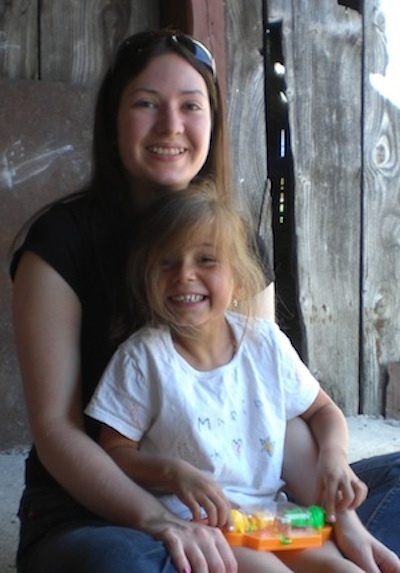 She joined us on our volunteer trip to Romania and became our Appeals Assistant. 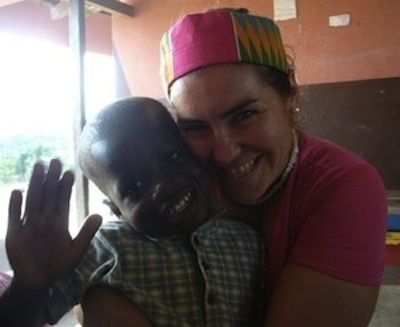 Marie-Lise has since volunteered at CHW’s projects in Ghana. She is based in Brighton, and supports various appeals for CHW from there. 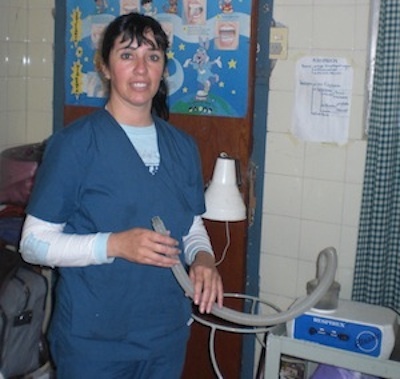 Gabriela is a physiotherapist at one of the organisations CHW supports in Argentina, called Bethel. She wanted to get more involved with our work. 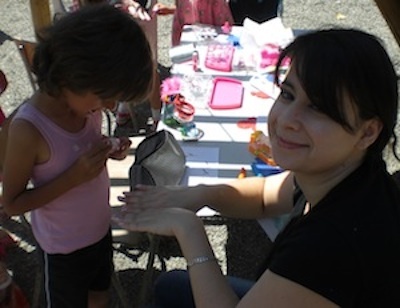 She helps our projects around Cordoba, and collects donated items for them. Within a few weeks of becoming our local coordinator, she launched a successful campaign for the health and medical needs of the children at Bethel, and received lots of items. She has also introduced two schools to CHW’s network in Argentina. She is helped by her sister, Alejandra Zambrano, as well as other local volunteers. We would like to thank Anne Mascellani, a graphic designer, for volunteering and designing our logo. You can see more about her work on the facebook page for Avangardesign: here.